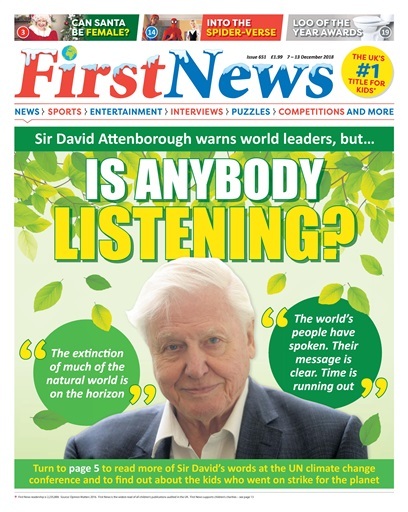 We're hearing how Sir David Attenborough is warning the UN over climate change this week – and they're not listening. Elsewhere in the issue, we're asking if Santa can be female, we're heading into the Spider-Verse, and we're finding out what went down at the Loo of the Year Awards! 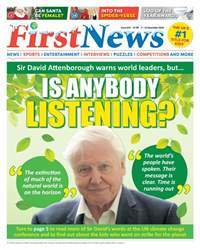 All that and so much more, only in this week's First News!